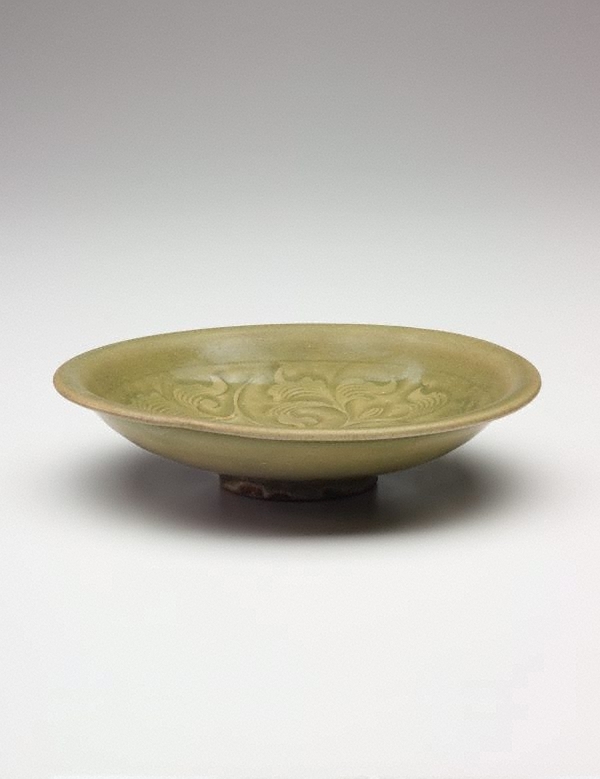 Yaozhou ware was a widely distributed quality greenware believed to have been made for popular rather than court use. It was produced at kilns located north of Xian in Shaanxi province, and is named after the Song dynasty name for the area. It is the most highly regarded of the various green-glazed stonewares that in the West have been grouped together as 'northern celadon'. 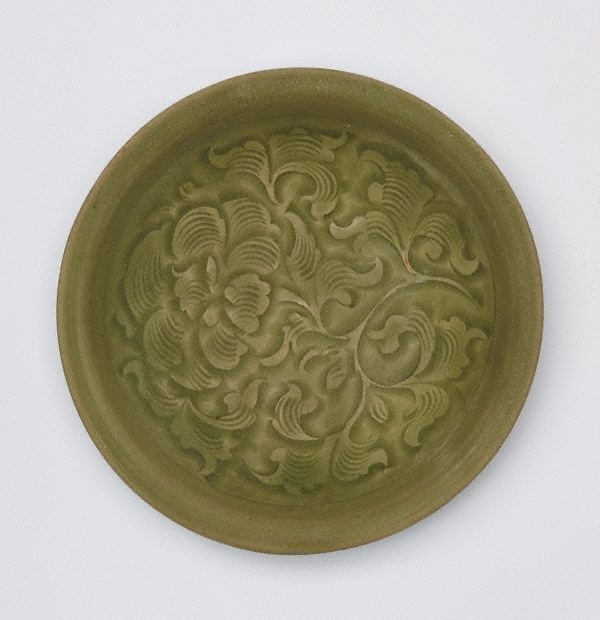 Characteristic of Yaozhou ware is the deep carving of the usually floral-inspired design, as exemplified in this shallow dish with its vibrantly carved peony decoration, where the pooling of the glaze in the deep and fluidly modulated carving emphasises the skilful design. 'Yaozhou ware', The Asian Collections, AGNSW, 2003, pg.105.